Do You Have A Gift List? Eighteen days to Black Friday, forty eight days to Christmas, and fifty four days to end of 2016. What you do in the next 54 calendar days will have a profound impact on 2017. This is the time when spending normally goes out of control and most people go badly into credit card debt. Then when 2017 comes, people generally become aware of the credit card overspending, and work towards paying off their credit cards. This is history repeating itself year after year! Don’t fall a prey to this! Do you have a budgeted gift list? Sarah and I just had a discussion and we have planned and budgeted our holiday gifts and expenses. Last year, we planned and set money aside upfront. We came under budget when it comes to gifts and holiday expenses. This helped us avoid a lot of unnecessary expenses as we stuck to the plan. If you don’t have one, make one up in Excel. 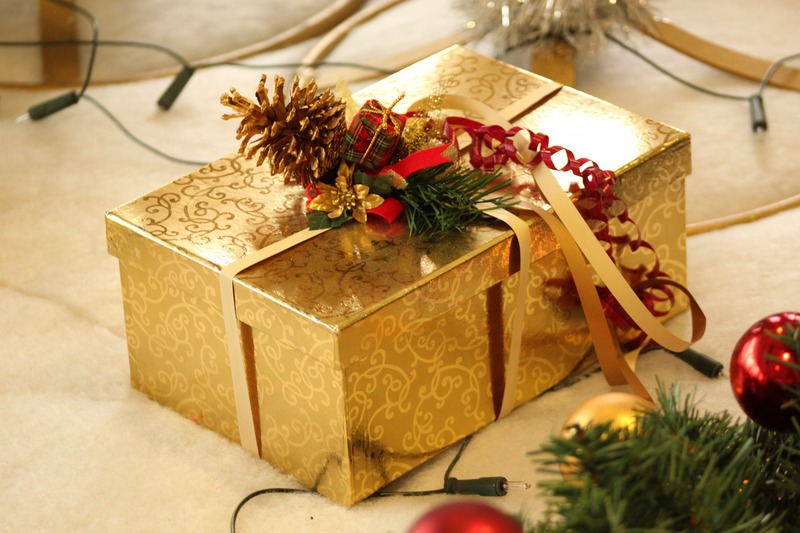 It doesn’t need to be fancy, all you need is three columns – name of person you are giving the gift to, allocated budget, and actual amount spent on the gift. Just hold yourself accountable to it! Personally, I like to sleep in on Black Fridays. I don’t like to go anywhere near malls or stores. You could say that I have an “allergy” for shopping :). That is a good thing. I might sound like a broken record when I say avoid impulse buying. Anytime I feel the need to buy something, I put my self through the 21 day rule. Basically, if I have an impulse to buy something, I wait for three weeks. By this time if the impulse / emotions have died and only logic and reasoning remains. If I still strongly feel the need for it, I go ahead with the purchase. You are about eighteen days away from Black Friday and twenty one days away from Cyber Monday. If you do feel the need to buy something, then write it down on a list, and then let the impulse die and let logic / reasoning help you make your decision in time for Black Friday / Cyber Monday. You have got a gift list and a budget in place. Now your goal is to buy good gifts and see if you can do it well within your budget. It makes absolutely no sense to pay retail price on almost anything these days. Paying retail price is sin! Do your best to avoid it! #1 TopCashback – is a referral site, basically they earn referral income by sending traffic to merchants. TopCashback has partnered with thousands of branded merchants that offer discounts online. When you click through to a merchant’s (for example Amazon) site that is offering a discount from the TopCashback website, and purchase whatever you would have purchased from the merchant directly, TopCashback would give you cash back for the specified discount amount. You can withdraw the cash back received to your bank account via PayPal. You need to ensure that you don’t return what you bought. You can read my TopCashback review to see how it works. #2 Ebates – is a referral site, basically works in a very similar way. You can request a cash back check in the mail as long as your cash back amount is greater than $5.01. #3 Shoptivity – There are a lot of cashback sites out there, what is unique or what is the advantage of going through Shoptivity? What is unique about Shoptivity is that they have a feature called price tracking. Not only do they have price tracking, they also offer historic price charting. Let us say you like a pair of jeans from Nordstrom. You can click “Track”on the Shoptivity site. You will start receiving email alerts when price drops. You could look at the price drop, historic price chart, and time your buy. To learn more, read Shoptivity review. #4 Piggy is a browser extension. When you shop online, Piggy helps you find coupons automatically from the stores it has partnered with and then apply them on your purchase. Once your item ships, you will earn the cash back into your Piggy account. Piggy then mails the check to you 4 times a year – once per quarter. I have it installed in my browser. #5 Honey is a browser extension. When you shop online, Honey helps you find coupons automatically from the stores it has partnered with and then apply them on your purchase. Once your item ships, you will earn the cash back into your Honey account. You could use the points earned towards getting an Amazon Gift Card. #6 Discount Gift Cards – this is one of the easiest things you could do. There are several online stores like Cardpool , GiftCards.com , and Raise where you could buy gift cards at a discount. Plan ahead and purchase gift cards a discount if you plan to give these out. It is a waste of money to buy it at the full price at a store. You might be wondering, why should I sign up with my email for all this crap? I already get a lot of junk, and I don’t want anymore. #1 Work – this email is strictly for work and nothing else. #2 Personal – this email is strictly for personal use – meaning friends and family. #3 Personal Finance – basically all the bills, statements, coupons, chain store discount email distribution from TopCashback, Ebates, Payless, Target, Walmart,…you name it, it goes here. #4 Blog – a separate email for my blog to manage blog communications. Here is an anecdote – Sarah and I were finishing up grocery shopping and we decided on the fly to go to the Payless store next door to buy shoes for our kiddos. At the cash register, I just pulled my phone, did a search for Payless on my Personal Finance Email, pulled a coupon for 20+% off, and got a discount, paid the bill and moved on. It was easy money! I don’t know how you compartmentalize your email. No matter how you have it bucketized, have a separate email for coupons, deals, and chains store email distributions. While you don’t need to read them, they come in handy when you make a purchase! Do you have a gift list? Do you have a budget for gifts? What steps are you taking to live within your means and not overspend this time of the year? Do you have any other suggestions to save on gifts? We budget for Christmas and track in a spreadsheet. It’s useful for tracking presents but also other holiday expenses, like special foods and events. I’d also say that Ibotta gives cash back at a number of retailers, like Old Navy and Best Buy. That’s true, holiday expenses besides gifts can be part of the spreadsheet for tracking as well. You are right about Ibotta – they have cash from several brands and stores which keeps growing by the day. I should not limit them to just grocery chains. Great feedback, thank you Emily! I don’t usually spend a ton on gifts for the holidays. We’ve simplified over the years and make many of our family’s gifts. And I never shop Black Friday (post coming soon!). This year, I’m setting a budget of $50 out of pocket and will also use our almost $300 in cash back rewards, so it should be a very affordable holiday! That’s neat that you are using the cash back rewards to cover gifts. That should help you maintain an almost same savings rate for December. I like pastor pillow (aka sleeping in) on Black Friday. That is a pretty clever way to do it! The way you have it set up, it takes all the stress out. There is one more advantage to your method – you don’t have to stand in return lines :). Great article with a lot of ideas for people to follow. I buy gifts all throughout the year as I see them on special or just think “that’d be great for my sister!” so I pick it up and stash it in a cupboard until November. In November I go through the cupboard, check what I’ve got for people and buy those last few gifts if I need any. Spreads the cost out a lot and I often end up with great affordable gifts because I’ve taken advantage of cheap prices throughout the year. That is a clever way of spreading your Christmas gift expenses through the year so that you don’t spend all at once in Nov-Dec time frame. It is interesting to see that every PF blogger has their unique and creative way of buying gifts for Christmas. We always start with a list for Christmas shopping, and add to it a spending amount for each person. This helps us to manage gift giving money effectively and make sure we can pay for everything in cash by planning ahead. Works wonderfully! Our gift planning is very similar to what you have going with your family. The only difference is that I use a cash back credit card to purchase the gifts. I pay off the credit card in full on a monthly basis. We always make a list of who we need to buy gifts for, how much we budget for each gift, and (ultimately) what we end up buying. All about staying organized this time of year! What you say was exactly true for me a couple of years back. Last year, we planned ahead and stuck to the plan. We are planning to do the same thing this year. We budget but our list is short. This year I received a $500 Amazon gift card when I left employment so we used $50 of that to buy two gifts for our family grab bag. Other than that we purchase a few gift baskets for older relatives and two gift cards for our cousin’s children. Welcome back, Mrs. Groovy! $500 Amazon gift card – that’s a nice gift! It does come in handy :).